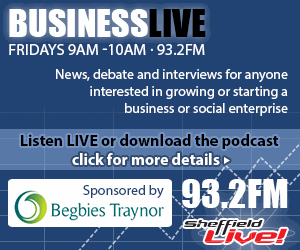 Every Friday from 9am to 10am I present Business Live, a programme on Sheffield’s community radio station Sheffield Live. The show is broadcast on 93.2FM in Sheffield and through Sheffield Live’s internet livestream around the world. It’s also available as a podcast afterwards and you can use the links below to listen. It includes interviews with business people, debate, how-to-do-it content, and more. Sheffield Live has a weekly audience of 40,000 listeners. Below you’ll find summaries of each episode of the show – along with links to more about each one, and the podcasts if available. Want to nominate or appear as a guest? Please mail your suggestions to me via this Sheffield Live email address. 12/10/18 Jon Maiden, Panjango. Jon has come up with a powerful, immersive and playful route for children to explore the sometimes mysterious world of work. Details and podcast. 05/10/18 James Barthorpe and Paul Simpson of Food Circle Supermarket, an online retailer purchasing surplus food from manufacturers, which would otherwise go to waste, and selling it to consumers at a discount. And Rob Middleton, a cartoonist, illustrator and teacher based in Japan. More information and the podcast. 28/09/18 Sarah Silva the Chemical Translator. Sarah is a chemist who translates science into sales for international clients and the author of “Small Island Big Business – The Insider’s Guide to Success in the British Market.” Podcast and further details. 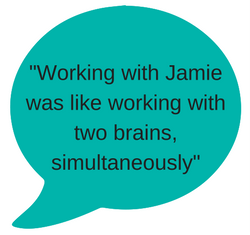 21/09/18 Emma Jones, Enterprise Nation founder and SME Crown Representative on winning government contracts, writing business books and who inspired her, and Peter Byrom on managing hearing loss, undertaking education, and developing his audiology practice. Podcast and timings. 14/09/18 Gin: Ruination, embrocation or delectation? Daniel Shipman of Roister Events discussing the Gin Fever Festival at Kelham Island Museum – and how to build a career in the hospitality industry. More information and the podcast. 07/09/18 Steve Pipe: why using business as a force for good, for positive changes NOW and without guilt-tripping (but with smiles) is great for the world and great for your business. Plus Piano teacher Madge Woollard on her approach to teaching and the forthcoming Diversity Fest. Podcast and more info. 31/08/18 Jonathan Cook, Principle 5 and Webarchitects Co-operative explains the principles of co-operatives and how Principle 5 supports other co-ops. He describes his own experience as part of Webarchitects co-op and answers some questions to allay some common perceptions of co-ops. Podcast and details. 17/08/18 VAT for small businesses plus tackling injustice with ACORN. Jonny Butcher of Acorn on what Acorn does, why its action is so necessary, how it works and how to get involved. Also on the show: an in-depth Q&A with Morgan Killick all about VAT for small businesses. If you’re anywhere near the VAT threshold, or planning to build a business, you need to listen to this. Details and podcast. 03/08/18 3 guests: construction plant hire boss Tom Hamilton, whose business has been trading for 128 years, and who is supporting the Bangers and Cash initiative in aid of Roundabout, Sheffield’s Youth Homelessness charity. Heidi Fisher, social enterprise and social impact specialist. She’s helped The Wildflower Home in Thailand to diversify and grow their income. Mike Thompson on the RiteTrax on the Bole Hills Festival. Podcast and more info with timings. 27/07/18 Inclusive rugby: Ashley Martin, Michael Hudson and Felix Barr of the Sheffield Vulcans Rugby Club. Employment law with Jay Bhayani. Upcoming events with Tom Sutton of The Sheffield Chamber of Commerce. More details and the podcast. 20/07/18 Tom Vickers of Stoneface Creative, Steve Eyre (World of Superheroes), and Kate Rawlings, CSR Manager at Irwin Mitchell LLP and Carolynn McConnell, Business Connector Sheffield. More information and the podcast. 06/07/18 Chris Wright, chief executive of Catch22, a “cradle to career” organisation which supports children excluded from mainstream education, delivers justice services working in 24 prisons across the country, runs victim support services, supports children in need, and delivers employability and apprenticeship programmes. Details and podcast. 29/06/18 John Holcroft has developed apps for national retailers, pitched to and won investment and mentoring from the tech-for-good start-up accelerator Bethnal Green Ventures. He talks about how to research and validate a business idea. More information and the podcast. 22/06/18 Kate Welch: resilience, sustainability and social enterprise success. Kate discusses filling the gap between market failure and public service delivery, positive cashflow for social enterprises, resilience and realistic financial planning, bidding for and winning contracts and more. Podcast. 15/06/18 Steve Rimmer, Tickets for Good. Making events more charitable and more inclusive. Details, timings and podcast. 08/06/18 Al Daw discusses his unique immersive Soviet soccer experience, Kickov, and Lucy Findlay, founder and MD of Social Enterprise Mark CIC on how business done differently can be a force for good and a force for change. Podcast and more information. 25/05/18 Richard Holmes, CEO of the not-for-profit Kings Foundation, which since inception in 1991 has worked with over 1.5 million children. What started nearly 3 decades ago with just one cupboard of sports equipment is now a global, values-driven organisation, earning its income and genuinely transforming lives. Information and the podcast. 11/05/18 Nickala Torkington runs Flourish, a social enterprise which support women to create the change they see needed through peer learning, crowd sourcing, mentoring and investment. Nick Middleton is an innovator in golf coaching, equipment and technology whose approach has been described as revolutionary. Podcast. 04/05/18 a Community Business Weekend special. Gareth Roberts of Regather Co-operative and Dr. Pragya Agarwal of The Art Tiffin. 27/04/18 Jon Seaton, CEO, Twinkl and David Battle, NEX Exchange. Full details and the podcast, with timings and show notes. 20/04/18 Mike Lawrence – smoking cessation and hypnotherapy. Podcast from the Sheffield Live website here (20/04 episode). 13/04/18 Jodie Marshall, A Mind Apart Theatre Company, celebrating 10 years in business. A Mind Apart uses performing arts to “challenge, inspire, encourage and change lives.” But it can’t change any lives if it doesn’t earn income. Find out how. 01/04/18 Dr. Heather Anson has extensive long-standing expertise in data protection and regulatory compliance. In this in-depth radio interview Heather runs through what you need to know (and what you need to do) when it comes to GDPR. Details, podcast, show notes. 16/03/18 Sarah David, Thrive and Love Work More. And Dulma Clark, Soul of Africa. Details and the podcast are here. 02/03/18 Louisa Harrison-Walker, Benchmark Recruit: National Apprenticeship Week and a new initiative. And Tom Bennett, Paws and Presto. Podcast from the Sheffield Live website here (02/03 episode). 23/02/18 Jay Bhayani with a comprehensive employment law update. Podcast from the Sheffield Live website here (23/02 episode). 16/02/18 Singing in the studio with music industry professional and reality TV judge Lizzy Mack. Podcast from the Sheffield Live website here (16/02 episode). 02/02/18 – Kisha Bradley, engineer, STEAM-inist, and founder of Bright Box Makerspace. For children to become the scientists, technologists, engineers, artists and mathematicians of the future, they need to know what options are available – and build appropriate skills. Kisha’s social enterprise, Bright Box’s runs community events and workshops “focused on enabling today’s children to invent the future with creative imagination and confidence.” Podcast and details. 19/01/18 – Lynne Brooke, Social Stock Exchange and ethical investing. Is capitalism broken and if so, can it be “rescued for good?” In this new interview Lynne Brooke gives a robust argument in favour of impact investing and business as a force for good. Further info and the podcast. 12/01/18 – Adam Rose of dockless bike sharing scheme Ofo. Podcast and more information. 17/11/17 – Dog trainer and pet business coach, Dom Hodgson; and an accountant “with a heart and a soul,” Steve Knowles. Podcast and details. 10/11/17 – Simon Biltcliffe the Marxist-Capitalist CEO of £31m-turnover Webmart and acclaimed photographer Vincent Tremeau. More information and the podcast. 03/11/17 – Intellectual property, bad debt and your business – how to be protected. Ben Ironmonger and Stacey Pocock of Ironmonger Curtis. Details and podcast. 27/10/17 – Workforce development; international aid; social enterprise; the Social Value Act; procurement; access to finance. Nick Temple – currently deputy CEO at Social Enterprise UK (and soon to be CEO at Social Investment Business); Mo Ali (Aid Works); Jane Weston. Full details and the podcast are here. 20/10/17 – Can Blockchain reduce the ‘card tax’ on business? Barry James – an authority in crowdfunding, blockchain and FinTech – is angry about what he describes as an unjustifiable charge levied on small businesses to process debit and credit card payments. But he has a solution, revealed in this podcast. 13/10/17 – Mental health and wellbeing for employees and business leaders. How can business leaders be most effective in supporting employees’ and their own wellbeing, and in looking after any colleagues and employees (or themselves) who are suffering from mental ill health? Pennie Raven and Jonny Douglas, plus Rob Lawson of Sheffield Mind. Also Tom Sutton of Sheffield Chamber on the forthcoming Connect Sheffield event. Podcast and more information. 06/10/17 – Max Scotford of award-winning bean-to-bar chocolate business, Bullion Chocolate and Rob King, business start-up advisor at Sheffield Hallam University. Podcast and details. 29/09/17 – Jay Bhayani with the latest updates in employment law; plus commentary on the State of Social Enterprise 2017 Report. Plus new report, Powerhouse 2050: The North’s Routemap for Productivity; and more. Full information and podcast. 15/09/17 – “How to use politicians to get what you want” author Scott Colvin tells you exactly that. Plus Kurtis Wright of Sheffield Community Technologies and Fintech social impact catalyst Loci Pay. Details and podcast. 08/09/17 – Ant Clifford of Creative Stream spills the beans on the priority question that should be at the top of your brief if you’re specifying your website. Listen here. 25/08/17 – another chance to hear the interview with Deborah Bullivant of Grimm and Co from 2016. 18/08/17 – Olusola McKenzie of fashion social enterprise Learn to Recreate returns to the show. 11/08/17 – Ted Ki Tae Kim and James Home of Diversitea Box, a tea subscription business with loyal, repeat customers in the UK, USA and beyond. Podcast and timings. 04/08/17 – Future scanning, tech innovation and media disruptions. An update about some of the enormous changes taking place in journalism and the media right now, and an interview with wi-fi and tech expert (and bestselling author) Neil Reid. Here’s the podcast and full details. 28/07/17 – Taylor review, vaping and prison for data deletion: employment law update podcast with Jay Bhayani. More information and podcast. 21/07/17 – Business lessons from a professional musician. Acclaimed classical guitarist, Alison Smith, has great lessons for anyone who is self-employed. Plus Tom and Sam from Sheffield Chamber and some business, co-op and social enterprise updates. Details and podcast. 07/07/17 – A “grand tour of marketing” with stoic northern grump Rob Drummond, covering storytelling, building trust, marketing automation tools and much more. More information and the podcast. 30/06/17 – “Don’t headbutt time” and other advice for social entrepreneurs from the founder of Incredible Edible, Pam Warhurst. Plus Natalie Mosley and Paula Walsh of Lucy May Lingerie, and Mark Ramsell, chair of Plot44. Podcast, timings, and full details. 16/06/17 – Steve Knowles, an accountant who has survived and thrived through five recessions (and helps his clients to do the same). Plus Sharon Saunders and Erica Hill of SCCCC (“S and Four Cs”) which has been awarded the Queen’s Award for Voluntary Service. Details and podcast. 09/06/17 – post-election instant reactions. 02/06/17 – Holding down an Octopus to build a British clothing brand. Jilly and Neil Kapusi discuss the journey of Ushiwear, which Jilly launched in 2008. It’s grown from a garage based hobby business to a thriving British hand printed brand, selling all over the world. Podcast and more information. 26/05/17 – Olusola McKenzie, founder of Learn to Re-create Ltd, a fashion and textiles social enterprise, on how determination, consistency and flexibility are the key factors which helped achieve her vision. Jay Bhayani with a pre-election run through of employment law policy proposals from the Conservative, Labour and Liberal Democrat parties and how these would affect business and social enterprise. And an interview with Daniel Koseoglu of Affecto Recruitment, with an update on skills and recruiting talent in the tech, data science and digital industries. Podcast. 19/05/17 – Digital strategy and business in South America: expertise from serial digital entrepreneur, Jerónimo Santamarina, who answers my questions about why Sheffield is the ideal European location for an international digital marketing agency; trends in digital marketing, programmatic ads and micro-segmentation, and the difference between digital propaganda and digital advertising. More details and the podcast here. 12/05/17 – An interview with illustrator and designer, Lisa Maltby, full of invaluable advice about pricing and more. Plus Mike and Adam of social enterprise, RiteTrax. And updates including a new source of information about social investment. Here’s the podcast. 05/05/17 – Sheffield world-leading tech innovator, Aldo Monteforte, CEO of The Floow. Hear Aldo’s views on skills, scaling, innovation and more. Plus new independent retail figues and plenty of business and social enterprise updates. Podcast and details here. 28/04/17 – Interviews with HR law expert, Jay Bhayani, and Mark, James and Terry from a social enterprise, Printed By us. Listen. 17/03/17 – Vicky Fraser wants to turn you into a business superhero! Author Vicky knows all about the challenges that business owners face, and how to fix them. Practical advice on positioning, pricing, prioritisation and much more. Details and podcast. 10/03/17 – How Bamford saved the village pub and turned it into a thriving community asset. Rebecca McIntyre, a founder member of the Bamford Community Society, and Amanda Taylor, general manager of the Anglers Rest in Bamford. Podcast. 03/03/17 – Financial planner, Jill Turner (of Jill Turner Associates) – her story and how Jill helps her clients; plus SheFest co-organisers Beckie Brackett and Jennifer McCanna of McCanna Coaching. 24/02/17 – how a pink blob could help to Save Mount Pleasant in Sheffield. Jonny Douglas and Pennie Raven are joined by Darren Southgate of Bond Bryan architects. Plus Jay Bhayani with the latest in employment law. 17/02/17 – Investors with a difference: Campus Capital interview. Samantha Deakin, co-founder of Campus Capital, with Tanja Kuzman, Alex Thiery and Alex Tanner. This new VC firm with a difference will work with some of the UK’s leading universities to deliver on-campus venture capital funds. Podcast. 10/02/17 – Making the leap from employee to entrepreneur. Heather Moore of We Luv Brownies and Christina Lima Trindade of Business Sheffield and the Launchpad programme. Podcast and info. 03/02/17 – scaling the fast-growing tech tutoring business, Tutora, with Scott Woodley, co-founder. Plus challenging visual stereotypes of homelessness with photographer Mark Harvey. Further details and the podcast. 27/01/17 – Sexist dress codes, discrimination in tech, modern slavery, an innovative “pay as you feel” social enterprise food business, and the three “secrets of newbie success in tech” – it’s all in this week’s radio show podcast, with Jo Hercberg, Elizabeth Shassere and Jay Bhayani. 20/01/17 – From resolutions to revolutions. How to set and achieve your business and personal goals and overcome procrastination, with Martin Bennett. And Jonny Douglas on fairness, and the future of work in the age of artificial intelligence and automation. Podcast and information. 06/01/17 – Kurtis Wright of My Sheffield Pound. Here’s the podcast. 09/12/16 – Rebecca Morris of Benchmark Recruit on avoiding office party pitfalls; the show also features new research about the impact of late payments on small businesses; an update about a Private Members’ Bill which would affect co-operatives; and a new flood insurance package. Podcast and more information here. 02/12/16 – Small Business Saturday and how one independent retailer, Maria Terry of The Dress Circle, is collaborating with others. Plus Maria’s tips on boosting footfall and updates about Westfield Health’s support to startup businesses; the Nesta Sharelab fund; National Tree Week. Details and podcast. 25/11/16 – reaction to the Autumn Statement. 18/11/16 – a special panel discussion about employee engagement which I chaired as part of the MADE Festival. Panellists: Anne Wilson, Marie Cooper, Julie Hawley, Peter Loadman. Full description and podcast here. 11/11/16 – Jim Cregan of Jimmy’s Iced Coffee and Josh Littlejohn of Social Bite – both recorded at this week’s MADE Festival of Entrepreneurship. Podcast and further information. 14/10/16 – Tiina Carr of boutique hotel Brocco on the Park; Dave Colclough, the global director of operations for SMS and technology specialist Dialogue Group; and Steve Buckley of the Social Enterprise Exchange. More details and the podcast. 07/10/16 – crowdfunding for business mentors with Barry James; Nicole Jewitt of Alt Seen Eye, Sheffield’s Alternative Info Centre. Podcast and more. 30/09/16 – the power of storytelling with Deborah Bullivant of Grimm and Co. Plus public speaking tips from Billal Jamil of the Public Speaking Academy. Full description, and the podcast. 23/09/16 – mentoring in Gaza: Laura Bennett and Elizabeth Shassere, just back from participating in a Gaza Sky Geeks bootcamp. And Johnny Pawlik of Mantra Media, the Sheffield and London digital agency now “big in Japan.” Here’s the podcast and more information. 16/09/16 – 20 minutes of brand new business and social updates, and another opportunity to hear the interview with Simon Kilpatrick. 09/09/16 – What does a business psychologist do, how do they help businesses – and what are the most common challenges they address? Simon Kilpatrick, chief executive of Intrinsic Links, explains in an in-depth interview. Also in the show: Pennie Raven of Sheffield SOUP and Andi Stamp of the Merlin Theatre. Details and podcast are here. 02/09/16 – Co-working and collaboration: Matt Hill, co-founder of co-working space Union St, explains the philosophy behind the space and gives some productivity and planning tips for startups and small businesses. Podcast and show notes. 19/08/16 – no show but a repeat of last week’s programme. 12/08/16 – Furniture designer and craftsman in wood (and climbing wall maker) Richard Osborne, of From the Workshop, and Elizabeth Shassere and Laura Bennett talking about their forthcoming involvement in the Gaza Sky Geeks programme. Further information and podcast. 05/08/16 – Jackie Hewitt-Main, founder and chief executive of The Cascade Foundation, and Dale Easter, explaining the work of the Foundation which runs projects both in prisons and in the community, for offenders, ex-offenders and community learners. And RJ Endeavour: a fitness instructor and self-taught coder and programmer, developing a new app. More details and the podcast. 29/07/16 – no show but a repeat of last week’s programme. 22/07/16 – What does the law say about workplace temperatures? Jay Bhayani explained on this week’s Business Live radio show, which also featured an interview with Melvyn Davenport, inventor of water saving device Watflo, and Colette Wymer, chair of the Sheffield Social Enterprise Network. Listen to the podcast here. 15/07/16 – Interviews with business mentor Jill White and Peter Jones Enterprise Academy Level 2 Student of the Year Kosmas Eleftheriou, and with charity chief executive Mark Storey. More details. 08/07/16 – Joe Gaughan and Michael Thompson of creative social enterprise RiteTrax, and Peter Wright of Digital Law UK, were my guests on today’s Business Live radio show. Here’s the podcast covering legal and business issues around Brexit and the journey of a young social enterprise. 01/07/16 – This morning’s Business Live radio show featured the director of the Centre for Entrepreneurs think-tank and of StartUp Britain; a Sheffield based credit union celebrating 20 years in business; the area organiser of the Race for Life and a social entrepreneur working in Kenya. Podcast. 17/06/16 – Vanda Kewley of social enterprise, The Suit Works, client Simbarashe Mandizvizda and professional basketball player Kyle Odister. Then Jon Johnson and Jordan Gell of the REACH affordable and eco-housing project – a semi-finalist in the national VOOM 2016 pitching competition. Details and podcast. 10/06/16 – Andrew Mills of Datamills: data security, steps to protect your business against cyber-attacks, passwords, social media and how the sharing economy of the dark web has made the cost of entry to criminality lower than ever before. Podcast and more info. 03/06/16 – Dr. Heather Anson, a multi-national law consultant, joined me for a fascinating discussion about offshore companies – and explained some reasons why companies and individuals may use them. Plus she gave her insights into the American political system. Further info and podcast. 28/05/16 – James Bedford of Tech North on how collaboration could “turbo-charge the Northern tech economy” to the tune of £5.7bn, according to their report, The Digital Powerhouse, Plus Neil Grant of Ferndale Garden Centre discussing a UK-wide campaign which this thriving Sheffield business is behind, the National Children’s Garden Week. More details and podcast. 21/05/16 – The Northern Powerhouse “seems to be a lot of hot air” and Government is taking a “divide and conquer approach to northern cities,” according to Neville Martin of the Federation of Small Businesses. The show also featured UpScribe, an award-winning social enterprise and the entrepreneur behind a live “escape room” experience, the Great Escape Game. Podcast and further information. 29/04/16 – Animated wallpaper; restrictive employment clauses; low-carbon economy. This week’s radio show features designer Sarah Jane Palmer of Muriel Design; Jay Bhayani of Bhayani HR Employment Law on a new Governmant consultation about restrictive employment clauses; and David Garlovsky talking about working in the low-carbon economy. Podcast. 22/04/16 – An apprentice who at 19 years old has already saved Rolls-Royce £10m; the author of a new report describing Sheffield as the beer capital of the world and a member of the team behind a rocket-powered car. Further details and the podcast. 15/04/16 – Interviews with Louise Page, the acclaimed playwright who has also written extensively for TV and radio, and is a specialist in clear and effective business writing; Sajad Mahmood, chief executive of Yorkshire based Charity Right, an international food programme; and Damien Bates the co-owner of Sheffield Speedway. Podcast and more information. 08/04/16 – an in-depth, live studio interview with Ruth Lucas, founder of specialist dog travel bed and bag company, Rovernighter. Ruth talks through product development and launch, supply chains, mentors, business advice, networking, marketing and finance. Details and the podcast here. 04/03/16 – Grimm & Co is a Yorkshire charity, a writing and mentoring centre for children and young people. At their launch I interviewed founder Deborah Bullivant, author Joanne Harris, poet and broadcaster Ian McMillan, writer and League of Gentlemen member Jeremy Dyson and social entrepreneur Ben Payne. Listen to the podcast here. 26/02/16 – Sara Hill joined me in the studio to talk about what’s on at the forthcoming Festival of Debate; publishing Now Then magazine which has been running since 2008; the Peace in the Park free festival; and Mesters Events and their recent trip to the refugee camps in Calais and Dunkirk. A fascinating insight – do listen to the podcast. Plus a big business and social enterprise news roundup. More info here. 19/02/16 – Hendrika Stephens of the Sheffield Antiques Quarter which supports a growing number of independent retailers in Sheffield and Karen Newell of Toy Like Me, an initiative seeking better representation of disability in children’s toys. Details and podcast. 12/02/16 – Phrooti and Aid Works. What does it take to have a career as an aid worker – or, if you want to volunteer in global development, what are the essential skills you need? And how do you setup a food business from scratch, win customers, and use quirky and original marketing to your advantage – all whilst developing from the outset an appropriate (and BRC accredited) supply chain to enable you to scale? Podcast and more information here. 05/02/16 – Driverless cars with Sam Chapman, chief innovation officer at growing Sheffield tech firm The Floow; Angga Kara and Zak Ahmed of Learn Create Sell, a creative social enterprise; and Laura Bullock of Seven Hills Bakery, a thriving independent business which is going from strength to strength. More details and podcast. 29/01/16 – Sheffield Star Business Editor David Walsh on business news and confidence; advice for gaining media coverage; and the business of journalism. And specialist tech recruiter Kate Loach of Affecto on women in tech and Django Girls. More information and the podcast of the show. 08/01/16 – Setting and achieving goals for your business or social enterprise, with Peter Loadman. And Sheffield entrepreneur Germaine Smith, boss of JuicetoU, started at her kitchen table three years ago with a £20 juicer and recently valued at millions by capital investors. More information and the podcast of the show. 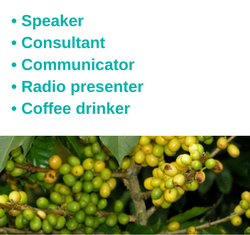 13/11/15 – Rachel Salway of fair trade and ethical fashion jewelry business, Roseannah and Tony Carroll of SheffEx. 06/11/15 – Dr. Mairi Mackay, global head of social enterprise at The British Council, and Tim Hart, small business marketing expert and principal of social enterprise marketing agency, Grá Group. Details and podcast here. 30/10/15 – interviews with Geoff Ramm – author and “celebrity service” expert; Jill Ashton with top tips for networking; and business startup expert Charlie King. More details and the podcast. 23/10/15 – MADE Festival and Critical Mass special. A popstar turned farmer, a CEO at Microsoft UK, an assassin, some investors, a lawyer and a social entrepreneur were all guests on today’s programme. More information and the podcast of the show. 16/10/15 – cyber-security: how businesses and social enterprises can protect against the growing threat of cyber-crime. More details and listen to the podcast. 9/10/15 – live studio guests Maurizio Mori, proprietor of Nonnas Sheffield; Claire Collister, the Social Enterprise Programme Leader at Sheffield Hallam Students’ Union; and Roxana Whiteman who has launched a new social enterprise, Uncover. Listen to the show here. 02/10/15 – tips from Caroline Woffenden about reputation and crisis management for businesses. Plus an update from Sheffield SOUP and an interview with the founder of a new music-based social enterprise. Listen to the podcast here. 25/09/15 – the State of Social Enterprise report; a business person doing a standup comedy show for charity in front of hundreds; and investment readiness and digital marketing tips from a business which recently secured a £40k investment. More details and access the show. 18/09/15 – preview of the MADE Entrepreneurship Festival and interview with the leader of ZEST, a Sheffield social enterprise. More details and access the show. 11/09/15 – Andy Kirkpatrick, author and professional speaker, with insights and tips. More details and access the show. 28/08/15 – launch, incubation, scale and investment: the Savvy spreads story. More details and access the show. 21/08/15 – collaboration in business and social enterprise. And two interviews from the Sheffield Social Enterprise Network. More details and access the interviews. 14/08/15 – tips for students on how to get a start in the career you want. And advice for businesses wanting to trade with China with international, UK and Sheffield expertise. More details and access the interviews. 31/07/15 – Leadership, excellence and innovation in business and social enterprise. Plus what small businesses can learn from corporates – and vice versa. Some of the most innovative social enterprises in the UK share their tips. And local author Andy Hanselman. More details and access the interviews. 24/07/15 – more details here. 17/07/15 – how a crowdfunding campaign lead to corporate support for a new mountain biking trail. And the impact of the budget on small businesses and social enterprises. More details and access the interviews. 10/07/15 – marketing and running a family business; real-time civic crowdfunding; a Sheffield design legend; a property entrepreneur and a local creative social enterprise. More details and access the interviews. 05/06/15 – Exporting; social enterprise under the new Government; data security; SheffEX special. How unlocking the international export market saved a Sheffield business; an analysis of the potential impact of the new government on social enterprises, from Social Enterprise UK; an interview with a Leeds-based, globally innovative secure file-sharing, backup and cloud storage service, Nimbox; a lovely tale about how Ernest Wright and Son, a family company, hand-making scissors and shears in Sheffield since 1902, has seen a huge boost in business after a film became a viral sensation. And interviews with a range of diverse businesses all recorded at this week’s SheffEX event which took place on 1 June at Ponds Forge. More details and access the interviews. 29/05/15 – SheffEX preview with co-organiser Tony Carroll; Jayne Senior of the Swinton Lock Activity Centre; and Paul Widdowson of Mr Pickles Food Emporium. 22/05/15 – business’ reaction to the election; employment law;and work-life balance. Studio guests Ant Clifford of Creative Stream; Jay Bhayani of Bhayani HR and Employment Law; and Celina Ploskonka and Laura Thomas of Freshly Squeezed, plus a live interview over the telephone with Linda Torstensson of KoziKidz. More details and access the interviews. 08/05/15 – studio guests Elizabeth Shassere (Startup Weekend Sheffield), Debbie Cundy (personal performance coach) and Pennie Raven (Sheffield SOUP and PechaKucha Sheffield) – plus news about Social Enterprise UK’s State of Social Enterprise Survey 2015. More details and access the interviews. 01/05/15 – Emily Hill of Dotforge Impact, an “accelerator and investment programme for social entrepreneurs who want to harness the power of digital technology to realise positive social change,” Ricki Unger, a co-founder of Deliverd, an “elegant web and mobile platform that enables hungry, busy people to have healthy meals delivered at lunch,” and Hannah Lister, enterprise development officer at Sheffield Hallam University. More details and access the interviews. 24/04/15 – studio guest Dan Cluderay, founder of Approved Food, has appeared on Dragons’ Den, Loose Women – and now Sheffield Live. Approved Food is the UK’s largest online retailer of discounted food and Dan has entered the Pitch to Rich competition. More details and listen to the interview with Dan. 17/04/15 – Matt Smith, deputy CEO of Key Fund, discussed their commitment to make £1m per month of investments over the next 5 months. And Ruth Amos of Elliot Kennedy Steelworks Academy – a social enterprise and Key Fund customer – talked about how Key Fund has supported her business. Plus an interview with Andy Cook of Yellow Arch Studios. Podcast. 10/04/15 – a chat with studio guest Amy Goodson of Leo Wealth Management; and a phone interview with direct marketing expert Darren Stepsky of Stannp. Amy talked about the experience of going from redundancy to launching her own business – and about how business owners can protect against financial risks. And Darren discussed why businesses need to make direct mail a part of their marketing mix – and how to make their direct mail effective. Listen to the podcast of the show here (opens in new window). 03/04/15 – interviews with SEO and digital marketing expert Johnny Pawlik of Mantra Media, with Nisha Firdaus of Ecocentric Transitions, and with Manju Appathurai of Fur Kids Farm. More details and access to interviews. 27/03/15 – interviews with Ruth Günay of Lokanta restaurant, and with entrepreneur and author Michael Bell and mentee Shane Goodlad of S & D Goodlad Agriculture discussing The Results Hub. Plenty of great advice here on starting and growing businesses, and all based on experience. Podcast of whole show (scroll down, and choose the 27/03/15 show; available until end of April). 13/03/15 – interviews with Mauritian-born entrepreneur, tailor Manoj Beekharry; with Leo Simmons of Cordwell Associates; and with Rory Ridley Duff, Chair of the Cooperative Business Education Consortium. Podcast not available. 06/03/15 – interviews with Morgan Killick, Entrepreneur, Business Adviser/Mentor, Social Enterprise Specialist; and with Ian Wild, Chief Executive of the Showroom Workstation. Podcast of whole show (scroll down, and choose the 06/03/15 show; available until mid-April). 27/02/15 – interviews with Oliver Coppard who is standing as the Labour Party candidate in the Sheffield Hallam constituency; and with Jess Petrie, who runs her own wedding photography business. Listen to the interview with Oliver Coppard here. 20/02/15 – interview with Chris of CRISM, and an interview with Frances O’Grady, General Secretary of the Trades Union Congress. 13/02/15 – interviews with Peter Garbutt who is standing as the Green Party candidate in the Sheffield Hallam constituency; and with Steve Brailey, chief executive of Sheffield City Trust which runs Fitness Unlimited. Listen to the interview with Peter Garbutt here. 06/02/15 – the first of a number of “the person behind the politics” interviews prospective MPs – today, Ian Walker who is standing as the Conservative Party candidate in the Sheffield Hallam constituency. And interviews with Nick of the South Yorkshire International Trade Centre and Jane of the Sheffield Symphony Orchestra. Listen to the interview with Ian Walker here. 23/01/15 – coverage of the StartUp 2015 event which took place in London on the previous Saturday; interviews with Klayton Palmer of Cinter Design; tech entrepreneur Anthony Odugwu; personal trainer Suzy Newson; and Sam Collin of the Community Development Finance Association. 16/01/15 – interviews with Adrian Graham, business recovery expert at Begbies Traynor, and with Jackie Neal, MD of Abbey Forged Products. 9/01/15 – Some new year inspiration to help to achieve your business / social enterprise goals: great advice from my guests Joada Celeste Allen-Booth and Peter Loadman. More details and the podcast are available here. 19/12/14 – the final radio show of 2014, featuring: Rachel Salway of Roseannah on fundraising for Destiny Rescue to rescue a trafficked child; Chris Barnes of Training Post talking about an accessible new e-learning resource for SMEs and social enterprises; Jodie Marshall of A Mind Apart on the impact that her social enterprise is making, and women in business in Sheffield; and Rory Ridley-Duff discussing his social enterprise novel, The Dragon’s Apprentice. More details and the podcast. 5/12/14 – how will the Autumn Statement affect businesses? Elaine Skelton of BHP Chartered Accountants and Kiley Tan of Wosskow Brown Solicitors dissect the announcements. Plus a Sheffield Business Awards special, featuring interviews recorded at the Awards Dinner (on the 27/11) with winners John Gilburn (Owlerton Stadium) and Richard Mills (Brainstrain and Swellaway). And what makes a 3D Business? Andy Hanselman and Jill White launched their new book about ‘Dramatically and Demonstrably Different’ businesses this week. I went to the launch and interviewed Andy as well as Louisa Harrison-Walker, co-director of Benchmark Recruit, who are featured in the book. Listen to the Podcast here. 28/11/14 – Who were the winners in the UK’s Social Enterprise Awards? We run through them. Plus interview with studio guest Raj Shah, an independent financial planner with Blue Wealth Capital, offering his ten top tips for businesses, coinciding with National Financial Planning Week. And a discussion with studio guest Adam Sylvester about the new economic landscape. Podcast of whole show (scroll down, and choose the 28/11/2014 show; available until end of December). 21/11/14 – SheffEX, Sheffield’s business exhibition, is back (on 1 December) after its successful inaugural event earlier this year. Co-organiser Tony Carroll joined me in the radio studio to preview the December event. Plus interviews with Sam Goddard, owner of specialist equipment supplier Response Vehicle Lighting (winner of the Rotherham Young Entrepreneur of the Year 2014 Award) and Rachel Boyce of the Lead The Change programme. And news about the Buy Social campaign, and the publication (by The FairShares Association) of new novel about social enterprise, The Dragons’ Apprentice, written by Sheffield author Rory Ridley-Duff. Podcast of whole show (scroll down, and choose the 21/11/2014 show; available until end of December). 14/11/14 – Following the Crowdfunding: Deep Impact conference which took place in Sheffield in 13/11/14, the show featured interviews with organiser Barry James; with Michelle Rodger of The Crowdfunding Centre about creating a level playing field for entrepreneurs; with Simon Brickles, who co-founded the London Stock Exchange’s AIM (Alternative Investment Market); and interviews recorded by Sheffield Live with Aldo Monteforte of The Floow Ltd and Paul Blomfield MP. Podcast of whole show (scroll down, and choose the 14/11/2014 show; available until end of December). 7/11/14 – Bunmi Scott, director of Foods You Can (a ‘free from’ foods comparison site based in Sheffield), and Jill White, ‘fairy godmother’ to numerous young entrepreneurs, were my studio guests in a show covering the importance of accessing mentoring and support. Plus a preview of the Crowdfunding: Deep Impact conference; and news about the Sheffield Business Awards shortlist; overtime in holiday pay; and a market investigation into banking. Podcast of whole show (scroll down, and choose the 7/11/2014 show; available until end of December). 31/10/14 – interviews with live studio guests Richard Bond, managing director of multi award-winning Jamie Hempsall Interiors, and Mark Walsh, managing director of Point Solutions Ltd. And business news about a world ranking of countries’ support for businesses; and a report on gender equality in the workplace from the World Economic Forum. Podcast of whole show (scroll down, and choose the 31/10/2014 show; available until mid December). 24/10/14 – a crammed show featuring an interview recorded with Deputy Prime Minister Nick Clegg about the creation of TechNorth, plus live studio guests Matthew Gilder of Via Moto, an Italian motorbike and moped specialist business; Martin Abonyi of Sugarcane, a full service design agency; and Peter Loadman, coach, management consultant and adventurer. Plus an interview recorded this week with Christian Nellemann, Founder & CEO of XLN which has justopened its new state-of-the-art office at One North Bank in Sheffield. Podcast of whole show (scroll down, and choose the 31/10/2014 show; available until mid December). 17/10/14 – social entrepreneur Rachel Salway talking about her jewelry business, supporting the #STOPtheTraffick campaign (and other charities); new figures showing value of Sheffield’s outdoor economy – interview with Brendan Moffett of Marketing Sheffield and with Zoe Spriggins of Awesome Walls; tips for a career in marketing from Sarah-Lee Neesam of Elevation Recruitment. 03/10/14 – economic inclusion, social mobility and support for SMEs, microbusinesses and freelancers – wide ranging chat with Jane Swain of Ubuntu Pods. Also, Meanwhile Space – bringing empty properties to life with creative, flexible short term leases – as a new app is launched, Emily Berwyn of Meanwhile Space Community Interest Company joined me for a phone interview. And crowdfunding tips from Barry James of The Crowdfunding Centre. 26/09/14 – MADE Festival special, featuring interviews with Levi Roots, Doug Richard, Shaa Wasmund, Jamal Edwards, Brendan Moffett. 05/09/14 – Sara Hill of social enterprise Opus Independents and Now Then magazine on a new app for independent businesses; Peter Holmes of Mercury Taxis on the Master Cutler’s Challenge; Yuri Matischen of the Sheffield Sharks on business and community engagement; Matt Jackson of the Centre for Local Economic Strategies on new research into LEPs; and Mark Bruce of Meadowhall on back to school research. 29/08/2014 – entrepreneur, franchise expert and coach, Rachel Kirk, and Medeia Cohan of the School for Creative StartUps. More information and link to podcast. 15/08/2014 – Guests John Silker, Chief Executive of Magna; Jeannie McGinnis – charity fundraiser, actor, model, voiceover artist and blogger; and Raj Shah of Blue Wealth Capital. 08/08/2014 – Studio guests Joada Allen-Booth of Visualisedit and Oliver Gwynne of Make My Media on working in the digital media industry; corporate fundraiser Emma Dove of the Children’s Hospital Charity; and Lee Ford, launch manager of Sheffield Live TV. 01/08/2014 – Studio guests Iain Thomson and Duncan Armstrong-Payne of Harworth Estates talking about brownfield regeneration and Edith Champagne, leader of the UN Refugee Agency’s videography reportage work. 25/07/2014 – 2 food related businesses: guests Jane Stammers and Charleh Dickinson. More information and link to podcast. 18/07/2014 – Guests: Sheffield born pr expert Caroline Woffenden of MK PR on public relations and reputation management; retail expert Clare Rayner, Author of The Retail Champion & How to Sell to Retail; and Darren Pearce of Meadowhall. 11/07/2014 – Guests: Andy Hanselman – author and consultant – on business competitiveness, customer feedback, and tips to increase profits for businesses and social enterprises; Nick Patrick, South Yorkshire International Trade Centre on exporting. Further details and podcast. 04/07/2014 – Guests: Composer, singer and author, Carole Becker Douglas; Lauren Nicholson, Remember the Date; Aldo Monteforte, The Floow; Darren Pearce, Meadowhall; and Jake Gooding of Bike Rehab. 27/06/2014 – Guests: Jodie Marshall of successful and internationally-trading social enterprise A Mind Apart Theatre Company; Andrew Wilson of BE Group talking about entrepreneur festival MADE; Chloe Snelson of Plusnet discussing the business’ involvement in Make it Better Day; Writer, speaker, technologist, work psychologist and social commentator Peter Johnson; David Anson on the Friends of Wincobank Hill. 20/06/2014 – Guests: Nick Patrick, South Yorkshire International Trade Centre; Jay Bhayani of Bhayani Bracewell; Angela Anson of Small Office Support. 13/06/2014 – Interviews with Sharon Beck, managing partner and head of the firm’s business team at commercial law firm, Taylor Bracewell; with Liam Barrington Bush, author of Anarchists in the Boardroom; with Learning Unlimited’s Operations Director Paul Champion; and with Tim Jones, the CEO and CEO and Founder ExForcesNet. 06/06/2014 – SheffEX special AND guests Tony Robinson MBE, the “micro-enterprise revolutionary” and author of Freedom from Bosses Forever; and Neville Martin of The Federation of Small Businesses. 30/05/2014 – Paul Widdowson of Mr. Pickles’ Yorkshire Food Emporium; social entrepreneur Morgan Killick on preparing your business for sale and Maxine Gregory of Sheffield Hallam University’s Sport Industry Research Centre on the value of Sheffield’s outdoor economy. 23/05/2014 – Sandra Barley of the Moor in Sheffield, discussing the Food Festival. 02/05/2014 – Guests: Sheffield Assay Master Ashley Carson; SheffEX’ Tony Carroll; and Jill Fortune, Sheffield Hallam University’s leader of Executive MBA programme. 25/04/2014 – Guests: Anne Wilson, the Managing Director of Numill; Aldo Monteforte, CEO and founder of The Floow. 11/04/2014 – Interviews with Mohammed Nazir, Head of the Property department at solicitors Wosskow Brown; and Ian Fitzpatrick, former organiser of the Edale Skyline race. 28/03/2014 – We returned to the issue of independent restaurants, with an interview with Justin Rowntree of acclaimed Sheffield indie, Silversmiths. We examined the issue of business recovery and insolvency, with Chris Brown of Hart Shaw. And an interview with young Yorkshire entrepreneur Lauren Nicholson who’s forsaken a potential career in investment banking to set up her own business, Remember the Date. 21/03/2014 – How will the Budget affect small businesses and social enterprises? Steve Vickers of Hart Shaw joined me to take a look. And we returned to the topic of legal reform and its potential impact on the profession, the judiciary, and clients needing legal aid – John Gibson of Howells Solicitors gave his perspective. 14/03/2014 – What do small businesses want from the budget? Steve Franklin and Mark Taylor of running specialist store Front Runner gave their perspective – and their comments on business start-up support. And we asked why solicitors and barristers are so concerned about the changes to legal aid. Is our legal aid system really the most expensive in the world, and what effect will the changes have on the profession now and on provision of legal aid? Mark George QC of of Garden Court North Chambers joined me to discuss this. 07/03/2014 – How independent businesses can compete with chains. Stu Hale and Debs Smith of award-winning Attercliffe running store Accelerate UK, and Rahul Amin, owner of (also award-winning) Indian restaurant Ashoka. And Mark Musgrave, founder of independent ethical clothing label The Level Collective. 21/02/2014 – Business news, and guests: Samantha Deakin of Startup Weekend Sheffield; Giles Barker and André Ferreira of drone footage marketplace Airstoc; and enterprise coach Rob King. 14/02/2014 – Business news featuring access to finance; and two guests: Matt Heason, Festival Director, Sheffield Adventure Film Festival (ShAFF) on the business of running the festival and what’s new for 2014 as well as its charitable aims this year; and “Energy Ian” – Ian Fisher, maintenance manager of Airmaster, with his ten top tips for businesses to save money and reduce carbon emissions. 07/02/2014 – Young enterprise. “Entrepreneur Adam” – Adam Bradford’s fascinating journey from school to youth entrepreneur to champion and organiser of a recent young enterprise competition made riveting listening. As well as Adam, guests included Joe Cool – winner of Adam’s competition; Jayne Briggs, one of the judges; and Hannah Taylor and Helen Vann of HotVol events, a business created as part of a university module. 24/01/2014 – Communications, marketing and networking experts Faye Smith and Alan Fenn answered listeners’ questions. 17/01/2014 – A new ’social supermarket’ in Barnsley sells supermarket food at up to 70% discount to people in food poverty. Sarah Dunwell of The Community Shop explained how this innovative business works. And training provision for young people: Karl Bacon, director of Eclipse IPD. 13/12/2013 – The Green Economy. 6/12/2013 – The Autumn Statement, The Business Bank, and the Local Enterprise Partnership. 18/10/2013 – featuring top tips from three very different newly established businesses.